These clients from Grayswood, Surrey came to The Billington Partnership because they had an empty chamber in their new kitchen. 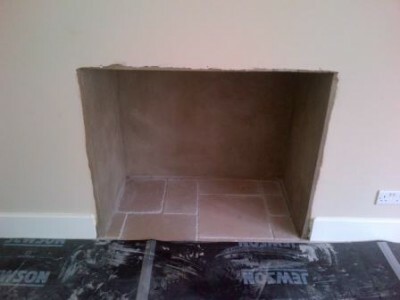 The client requested we install a kitchen fireplace for them. However, they needed our advice and guidance on what would work best in the surroundings. With our help and recommendations, we fitted a bespoke wooden mantel to match the one over their AGA. 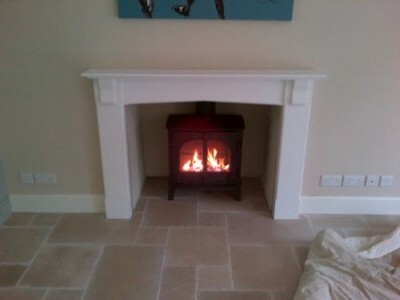 Once the mantel was complete, we then installed a Stovax Stockton 8 wood burning stove. View another Stockton 8 Stove installation by The Billington Partnership.